Even the quietest vacuums that Consumer Reports tests make plenty of noise, but there are some that keep the racket down to an acceptably dull roar. In CR’s vacuum lab, we measure sound with a decibel meter at ear level with a vacuum set to deep-clean at its maximum power setting. Noise at typical vacuum decibel levels, around 70 decibels, isn’t enough to damage your hearing, especially since you probably won’t be running your vacuum cleaner for longer than an hour or so at a time. And there's also the quality-of-life issue. According to health experts, noise below the level that can cause hearing damage can still impact your everyday health and well-being. “When doing the noise test, we are concerned with the level of noise coming from the vacuum that can be an annoyance to the user and anyone else in the home,” says Sue Booth, CR’s lead vacuum tester. "It's about comfort." Read our special report, "The Science of Sound: How the Products You Use Everyday Are Engineered for Your Ears." You can find the noise scores in our vacuum ratings, which cover upright, canister, stick, handheld, and robotic models. To narrow the field down to the quietest in each category, select the type (for example, "uprights"), then click the "Rated Best For" dropdown and select "Noise." Upright vacuums clean carpets quickly and thoroughly. Generally, they’re not as good as canister vacuums when it comes to bare floors. Here are the two quietest uprights from those models that score Very Good or better overall. The Miele Dynamic U1 Cat & Dog is indeed good at picking up pet hair, and it aces both our carpet cleaning and bare floor tests. It's quiet for a vacuum cleaner—the quietest bagged upright, earning a rating of Very Good for Noise. It also has strong tool airflow, which is key if you use your attachments a lot. The Shark Rotator Powered Lift-Away Speed NV680 is the quietest bagless upright in our tests, earning a rating of Very Good for noise. It does a solid job getting embedded dirt out of carpets. It’s also a beast at removing pet hair, something to consider if you have a dog or cat. A brush on/off switch prevents the vacuum from scattering dirt over bare floors or damaging your carpet. Canisters are a good choice if you have stairs in your home because you can hold the hose in one hand and the body of the vacuum in the other. A canister vacuum typically offers powerful suction, which means they excel when using tools. Here are the two quietest canisters from models that score Very Good or better overall. If quiet is what you aim for, the Alize is your best bet. It's the quietest among both full-size vacuums and stick vacuums—it's comparable to the quiet buzz of a typical office space. It doesn't hold up when it comes to carpet—it earns only a Good rating on that front. 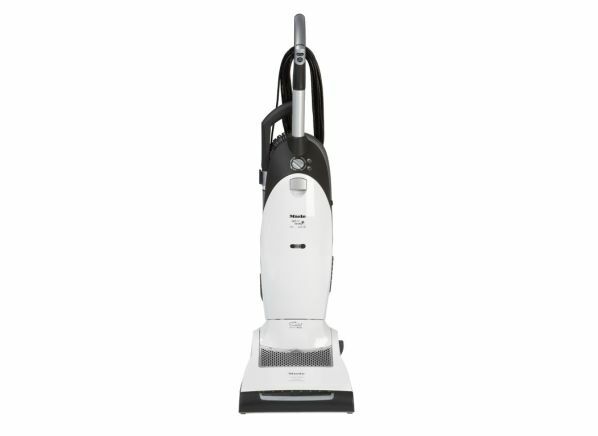 But it's fantastic at cleaning bare floors and pet hair, so if you don't have carpet and want a very quiet vacuum, this could be the model for you. The Miele Complete C3 Marin is one of the quietest canisters we tested, earning a rating of Very Good for noise. And it performs well on all the tasks that matter: carpet and floor cleaning, and picking up pet hair. It features manual carpet-height adjustment, which is a good option if you have higher-pile carpets. Find out why Miele vacuums have a very loyal following. Stick vacuums tend to be quieter, and their relatively compact size makes them a great option if you have limited storage space. But a stick vac may not be the machine you want for deep cleaning. Here are the two quietest stick vacs from models that score Very Good or better overall. The cordless ION X40 is very quiet, and earns a rating of Excellent in our noise tests. It does a great job in our bare floors and pet hair cleaning tests, but when it comes to cleaning carpet its performance is only so-so. 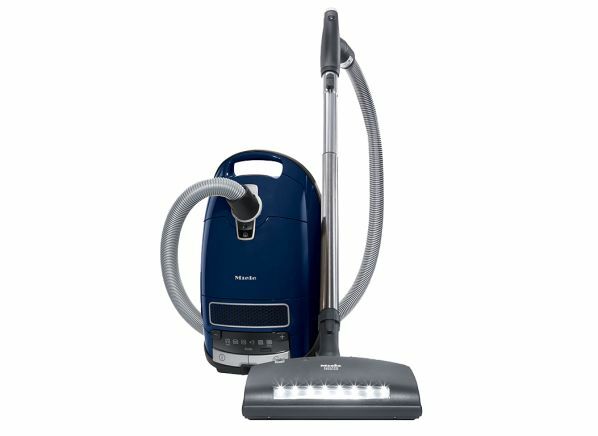 This vacuum also performs well in our emissions testing, meaning that if you have allergies and are sensitive to dust, this vacuum might be a great choice. This is a budget-friendly stick vacuum that earns an Excellent rating for noise. If you have pets, the Bissell Air Ram 1984 is a good choice. It was only a touch noisier than the Miele Complete C3 Alize. It’s also cordless, which some people prefer, and weighs 7.9 pounds. 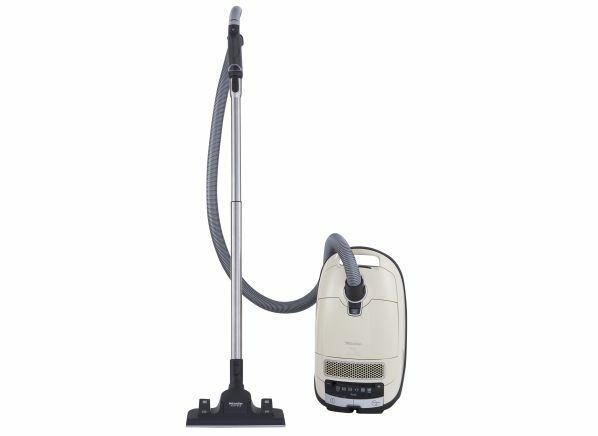 It doesn’t convert into a detachable hand vacuum the way many other stick vacuums do. 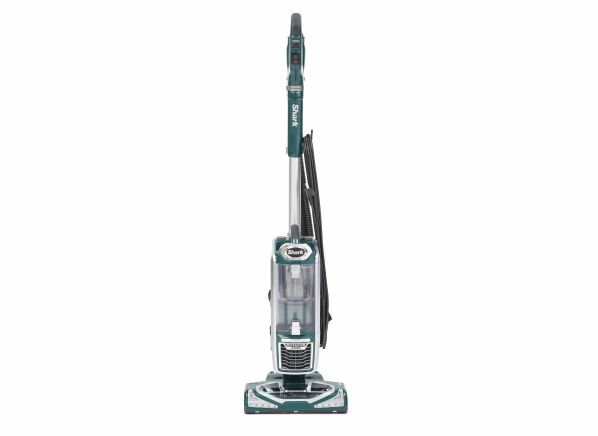 But it’s tough to beat the Bissell’s combination of value and performance. 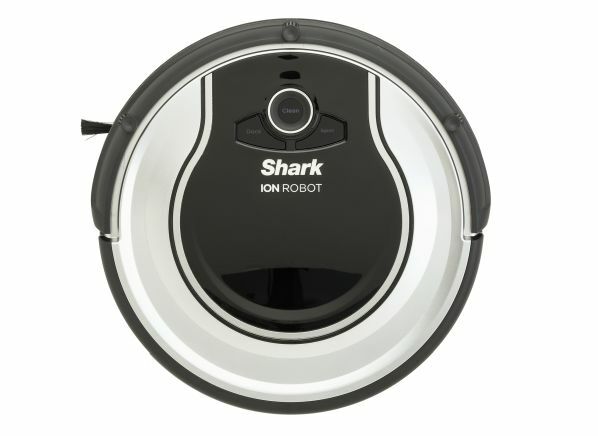 The quietest robotic vacuum in our ratings—earning it a rating of Excellent for noise—the Shark Ion 720's noise levels are akin to hearing a steady drone from rainfall at your windows. It's a vacuum that's easy to clean out should you get pet hair caught in its brushrolls, and it's low, to get under furniture. It's also fantastic at cleaning bare floors. Our testers note that this vacuum had some trouble with carpet, though, as it dragged pet hair over the carpet's surface without picking it up. 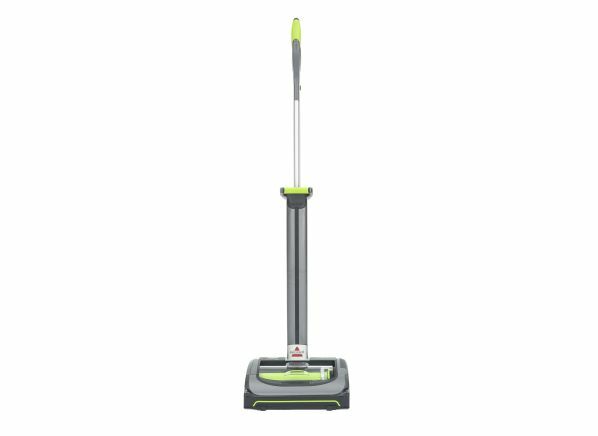 This little vac is terrific at cleaning both carpet and bare floors. 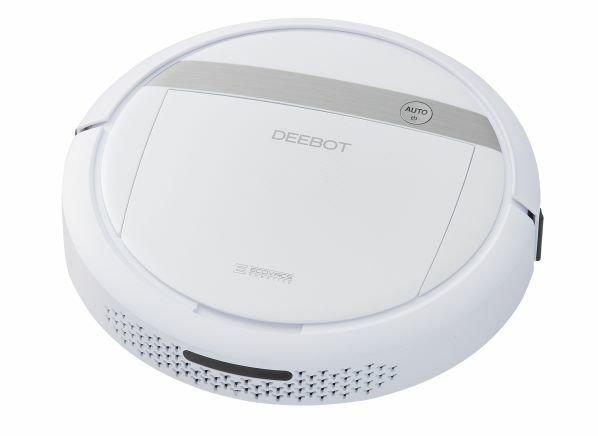 The Ecovacs Deebot M88 can be scheduled to clean your home any time you choose. You have to manually clean the brushes, but it’s easy enough that you might not mind. This bot also has cliff sensors, so it won’t crash down stairs—peace of mind if your home has multiple levels. And it earns a noise rating of Excellent.